Are you ready for something to smile about? Watch your inboxes for a fun promotion happening in July! What? Christmas? Well...it's hot enough out there, so thinking of Christmas might help you cool down a little bit! So today, you get CHRISTMAS! 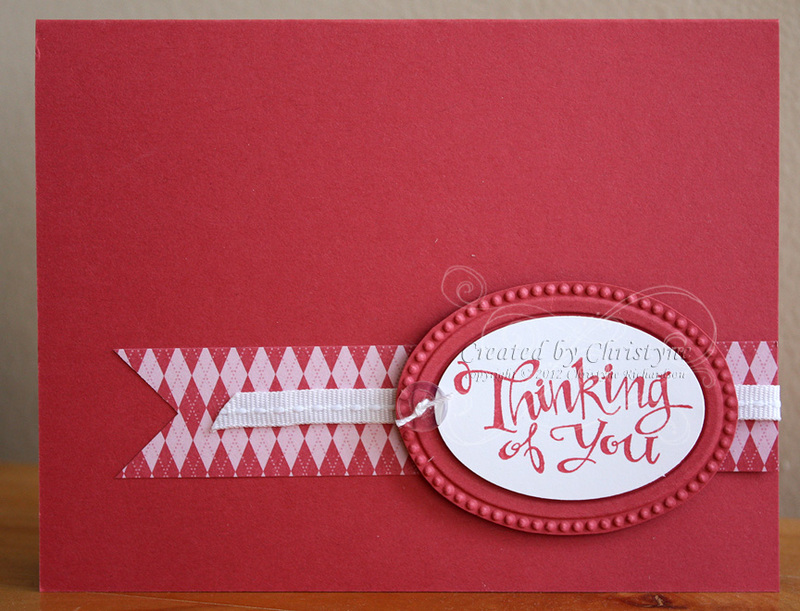 I started off with a Very Vanilla base and then added the strip of Red Cardstock. 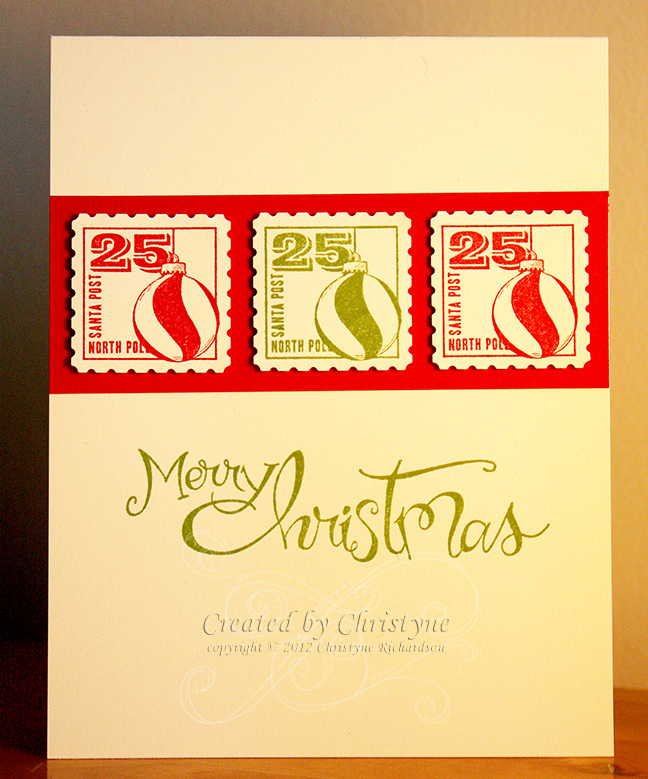 I stamped the images from Merry and Type onto Very Vanilla using Gumball Green and Real Red Inks. These colours look GREAT together! 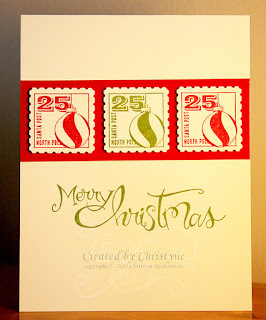 The images were punched out using the Postage Stamp Punch and adhered to the Real Red Strip using Stampin' Dimensionals. The sentiment was stamped just below the image panel, using Gumball Green Ink. And this week? There's BLOG CANDY!!!! One lucky person who plays along will get a 10-second bow maker. Check it out here. It's time to Blog around the Block! If you've arrived from Marisol's blog, you're in the right place! Welcome! 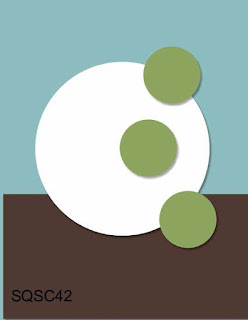 I love participating in the SUDSOL blog hops because it gives me the opportunity to check out my fellow demonstrators and all the amazing things they create! 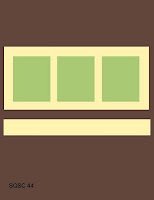 Many of them use templates and ideas found ONLY on the SUDSOL site. This is one of the FABULOUS benefits of the SUDSOL membership - exclusivity! 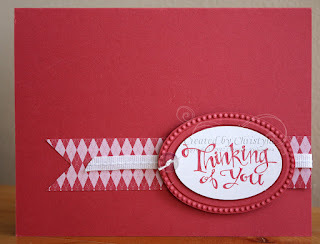 We have an ENTIRE gallery filled with ideas to help you get your stamping business going! 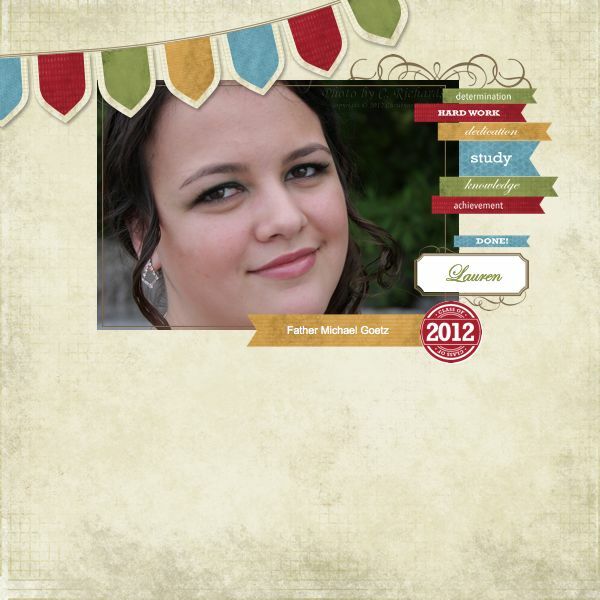 For the above layout, I used a pre-designed digital template available for purchase with My Digital Studio called Grad Party. All I had to do was a pic, my DD's name and the name of her school. DONE! Five minutes or less! 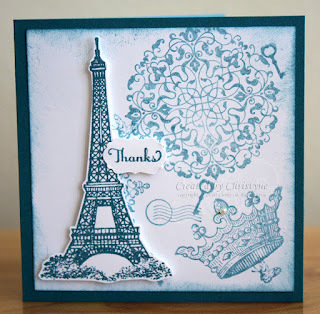 The next two cards are two that I created for my Stampin' Extravaganza event which I'll be hosting on June 23rd. YOU get a sneak peek - LUCKY YOU!!!! This first card was created using one of the new IN COLOURS for 2012-2014 called Primrose Petals. It's SO pretty! 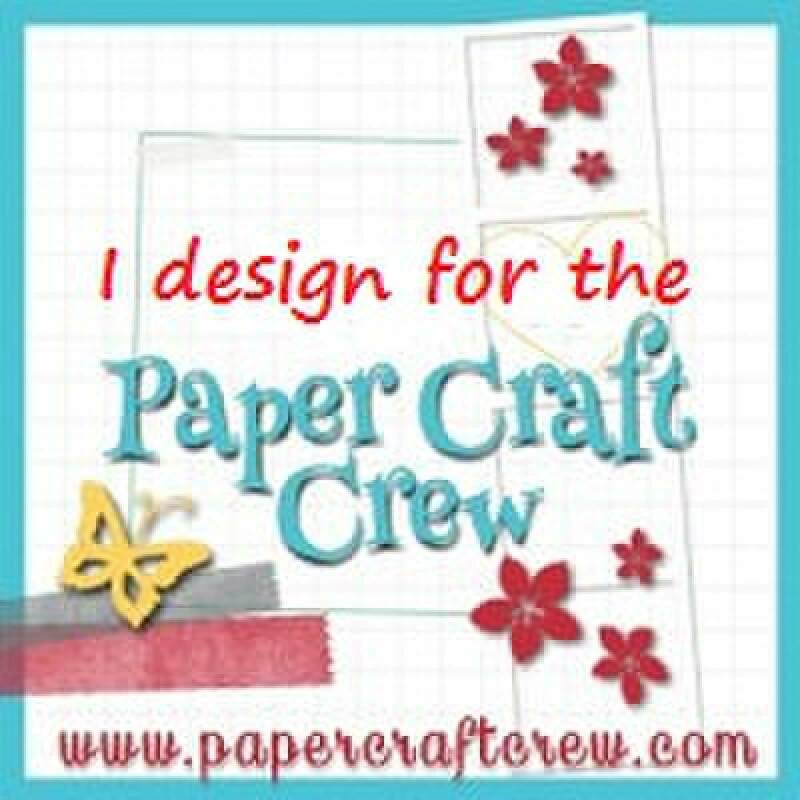 I started off with the card base and then decided on the strip of designer series paper from Patio Party and the stitched grosgrain ribbon. I was never a big fan of the grosgrain ribbon in the past, but since they've added that row of stitching down the middle, it seems to have made it "softer" and easier to work with. I then ran the oval frame from the Designer Frames Folders through the Big Shot and cut it out. I stamped the sentiment in Primrose Petals and punched it out using the Extra Large oval punch which fits perfectly in the centre of the frame! 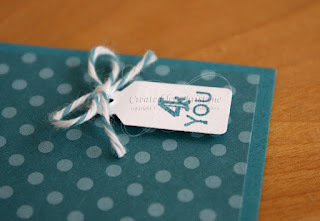 The finishing touch was the itty bitty button with a length of baker's twine tied through it. 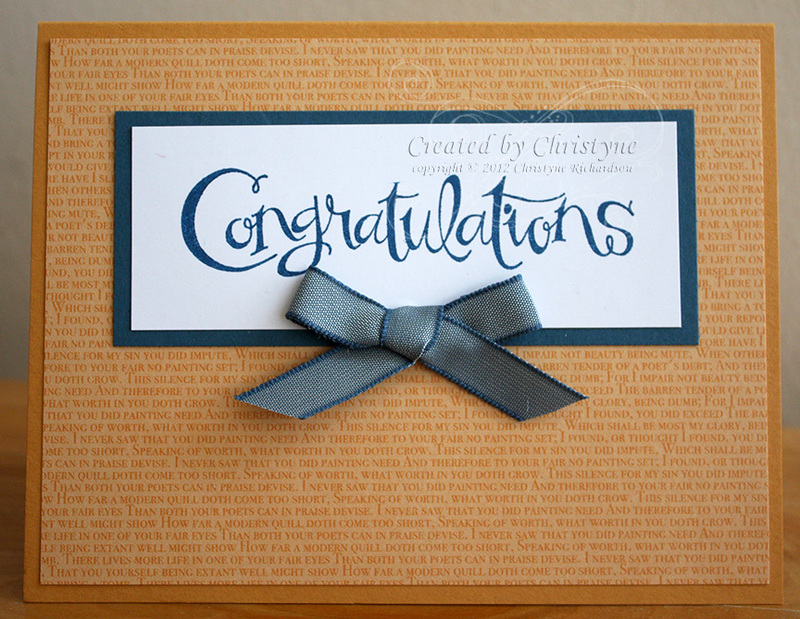 This next card is one that could be reproduced quite easily...for a WHOLE graduating class! This card base is More Mustard with a layer of More Mustard DSP. 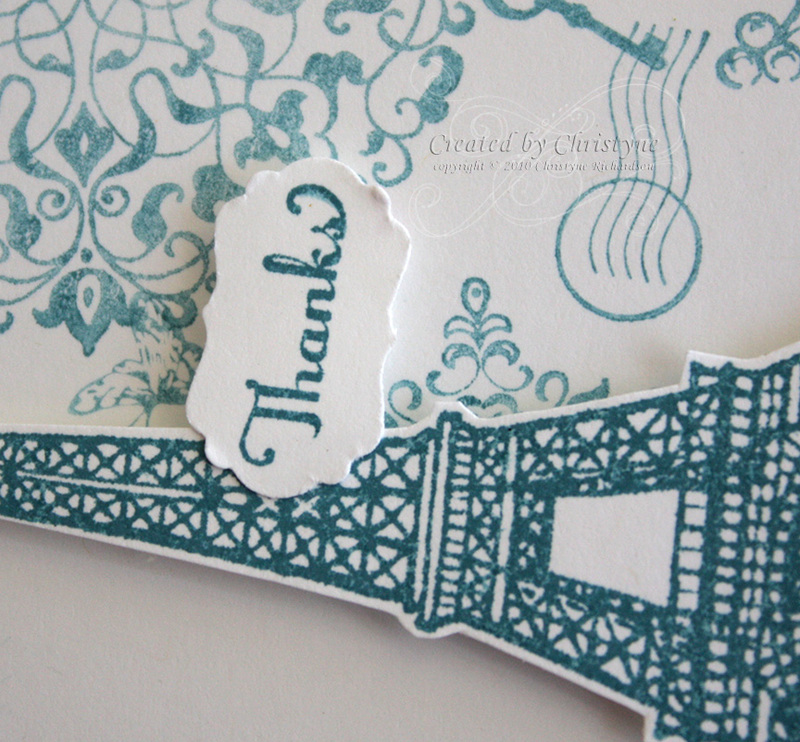 I stamped the sentiment in Not Quite Navy on Whisper White and matted it on a piece of Not Quite Navy. I added a little bow...just 'cause I could! I do hope you've enjoyed your visit to my blog and that you'll leave me some comments to let me know what you enjoyed most! 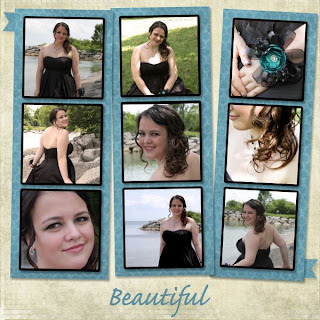 Get ready for a BLOG TOUR! 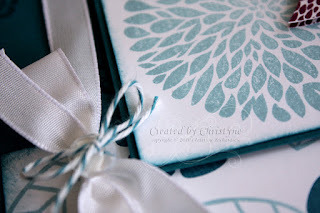 Once again, I'm participating in the SUDSOL blog tour! 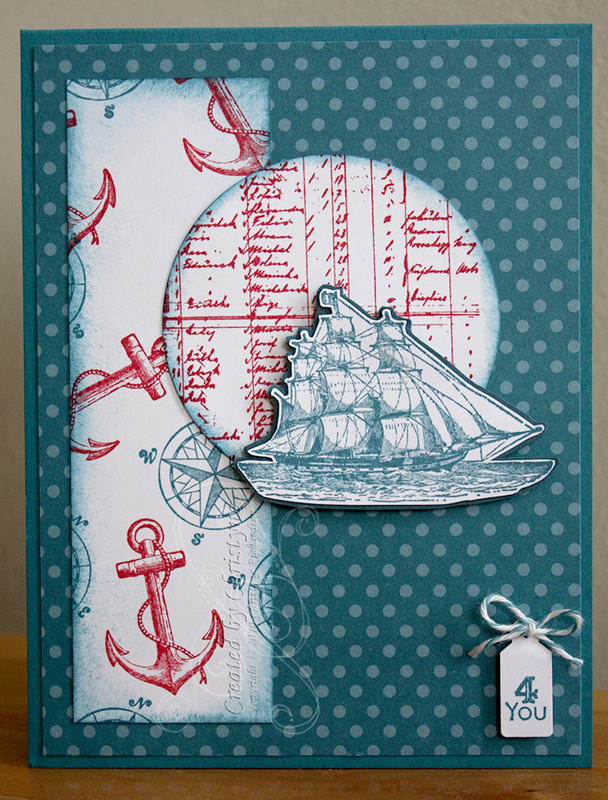 You're going to love it as we'll be showcasing cards and projects made with stamps from the NEW 2012-2013 catalogue! Be sure to come back on June 13th and join in the fun! Are you ready for the CUTENESS? This is my second post for today, so please scroll down to see what else I've been up to! 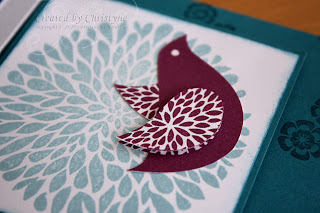 As I was going through my email this morning I came across a card that inspired me to put away the laptop and create RIGHT AWAY. I can tell you...that doesn't happen very often! Cute, right? It's a 3 x 3 notecard. These are such fun to make! 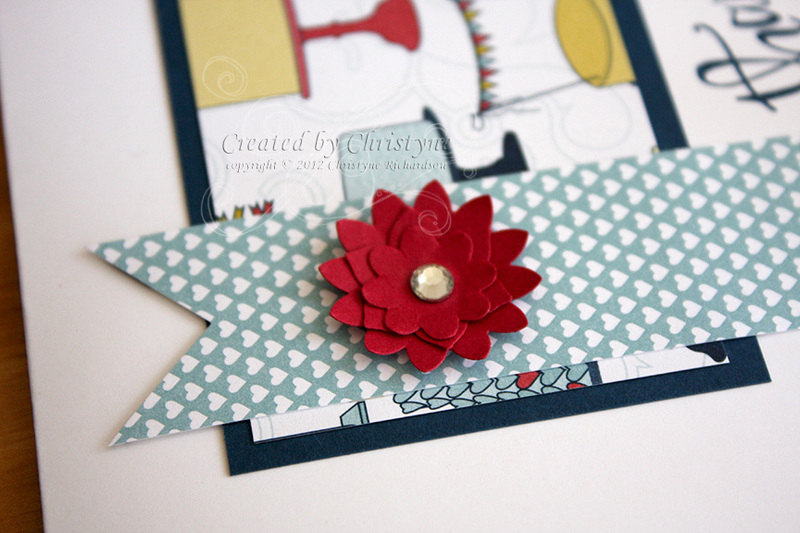 I love the way I can use up little scraps of paper to create something wonderful! To me, it seemed to be the perfect touch! Is that not the cutest thing you've ever seen in your WHOLE life? 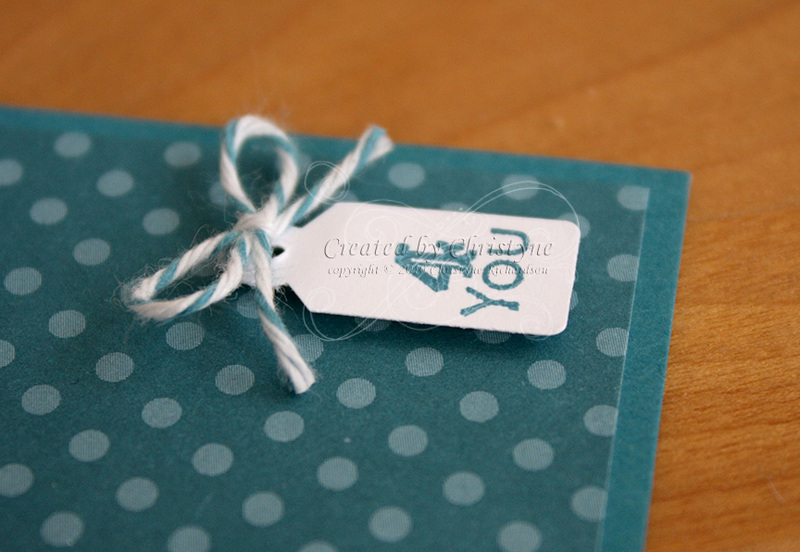 It's from a brand new stamp set in the 2012-2013 catalogue called Lovely Little Labels. And do you know what the BEST part is?? 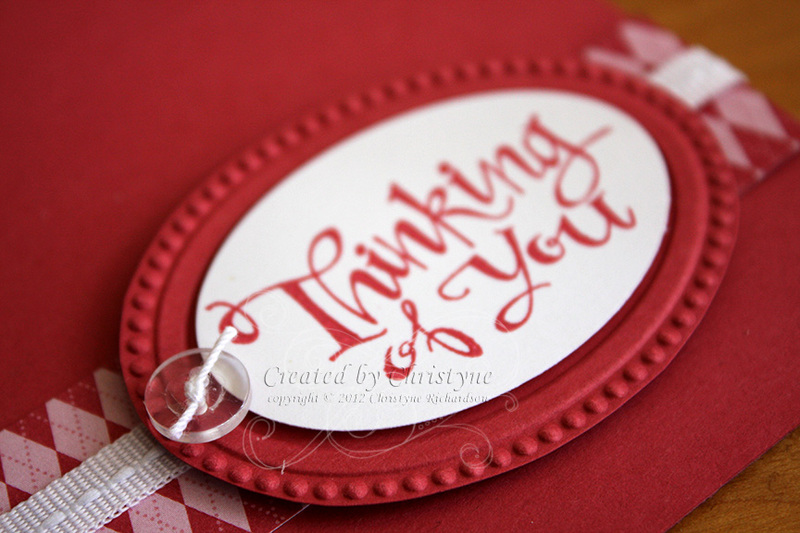 You can buy an itty bitty punch pack with the most fun little labels to punch out your sentiments and images from this set. There's even a teeny tiny postage stamp! I also used some of the various images from Lovely Little Labels to fill in some of the white space after I stamped the Artistic Etchings collage. Cool, eh? I just inked them all up at the same time, stamped off and then stamped them onto the 2 3/4" square layer of Whisper White Cardstock. New Firm Foam Pads - LOVE at first stamp! 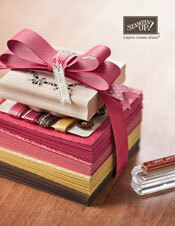 Have you had the opportunity to try our new firm foam stamp pads yet? 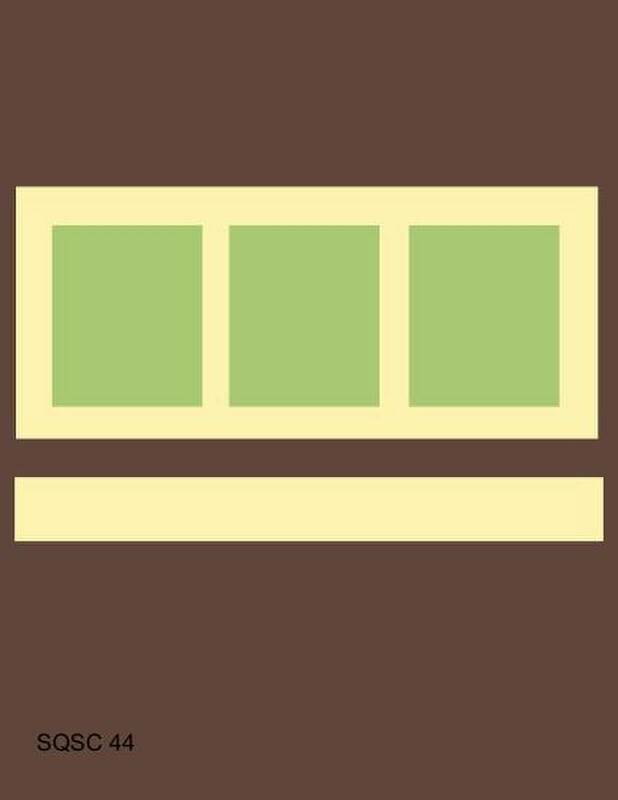 Create wonderfully solid images. 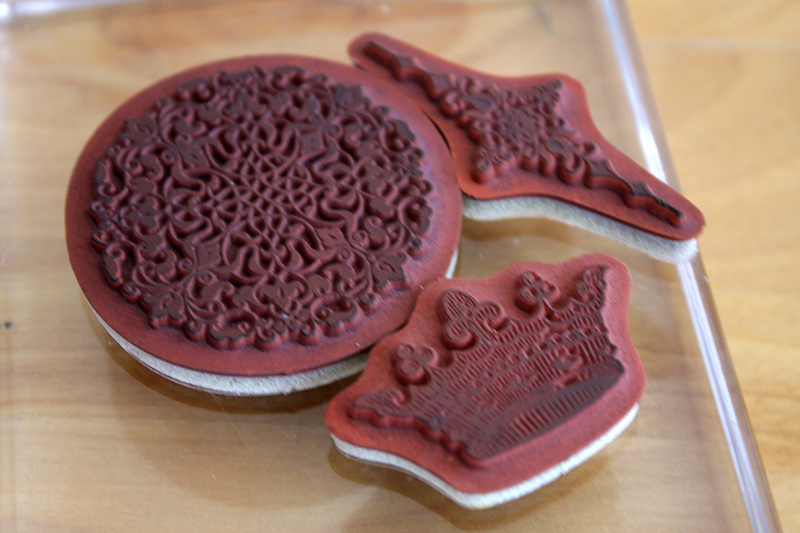 The Firm Foam releases more ink onto your rubber stamp than the felt pads. When using the Firm Foam pad, your stamp will get an even, solid covering of ink that you may not have been able to achieve with the felt pads. 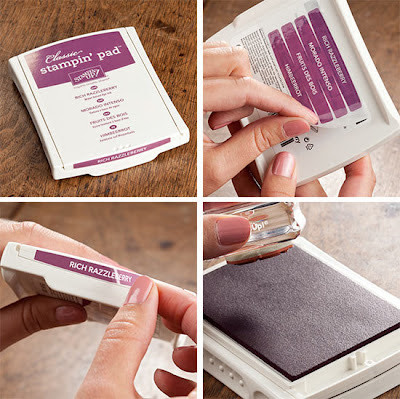 Please note: if you are using the ink pad frequently you may need to re-ink your Firm Foam pad more often. Father's Day will be here before you know it and this set is just the ticket to make the perfect card! 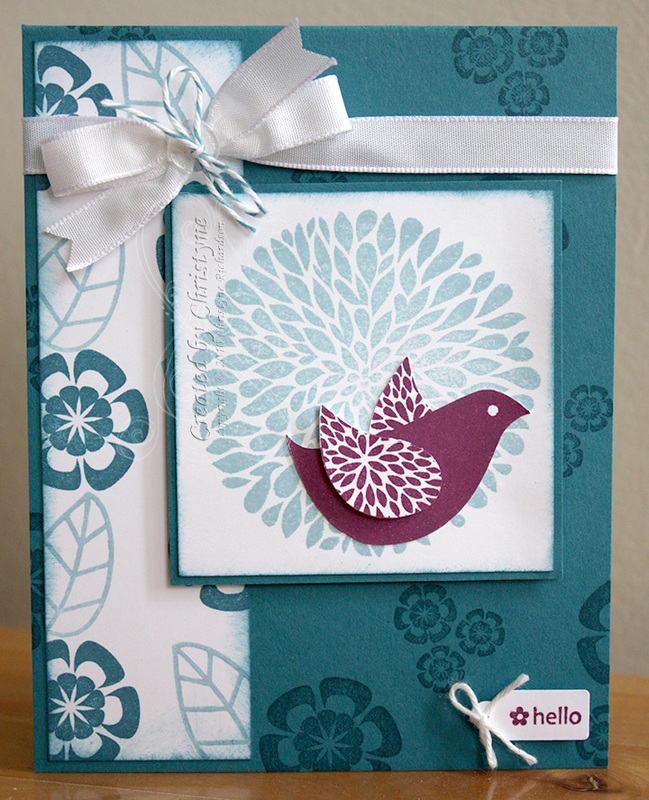 Here's the card I created, which will be going to my FIL for Fathers Day. It's been "hubby approved" so I'm good to go - LOL! My FIL LOVES boats and builds model sailboats from pictures in his head! Yeah...he's pretty awesome. I know he'll like this card. I'm still loving that Island Indigo Baker's Twine! ...especially when paired with Baja Breeze. Oh my! I think I may just have a new favourite colour combo! Truly! Now, Island Indigo and Pool Party are pretty awesome together, but Island Indigo and Baja Breeze are just more...well...MORE. I had Island Indigo out because I was creating my card for the Stampin' Queens sketch on Wednesday (you'll have to come back to see that one) and I was struck with the idea of featuring a different stamp set each week. Well, my stamp set for Wednesday is The Open Sea and I drew a complete blank as to what else I could do with it. 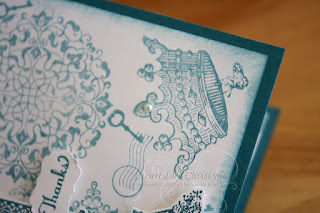 Subconsciously, it was probably the idea of using ONE stamp set for a WHOLE week that freaked me out - LOL! 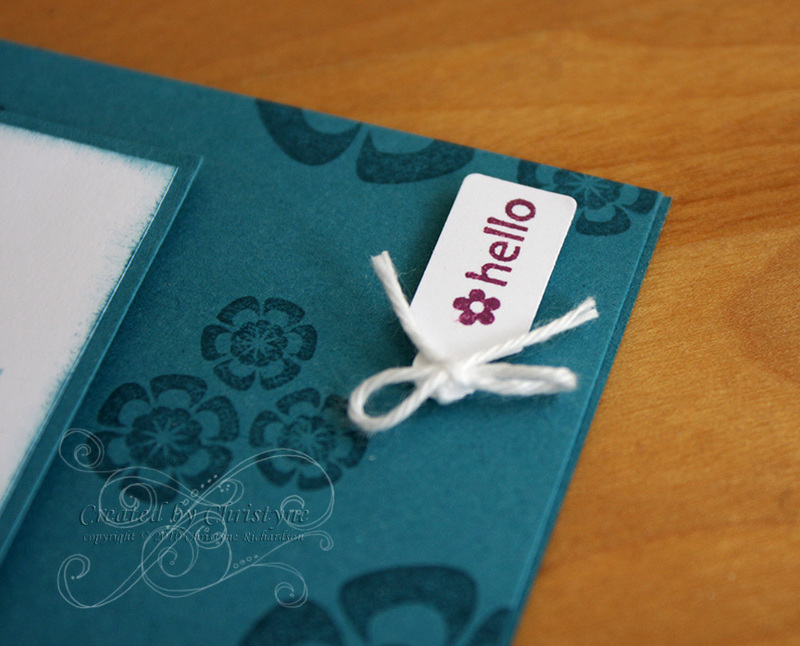 Then, as I sat there staring at my Island Indigo cardstock, I thought, "HEY! Why not feature a new COLOUR each week!" With fifty colours, I could cover almost a whole year - YES! What do you think of that idea? So...this week, since I was already creating with Island Indigo, I decided to go with that. 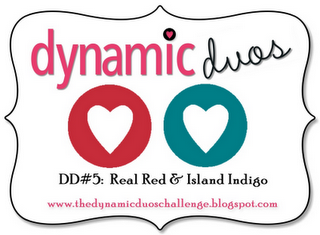 Wednesday's card is also my Dynamic Duo card for the week, so it features Real Red as well. I wanted something different, so I pulled out my colour coach. Lo and behold, there it was! Island Indigo, Baja Breeze and Rich Razzleberry! LOVE! See? You love it too, right? You get subtle with a bit of POP! When I saw the Mojo Monday sketch, Betsy's Blossoms was the first thing to come to mind and I think it was a pretty good choice! I just love the finished card! I'm planning on sending it to a dear friend and I do hope she likes it! I won't spoil the surprise by saying who, because I know she reads my blog on a regular basis. She needs a little pick me up and I think this will be just the ticket! It's new catalogue time peeps! BOOYAH!!! You are gonna LOVE IT!!! 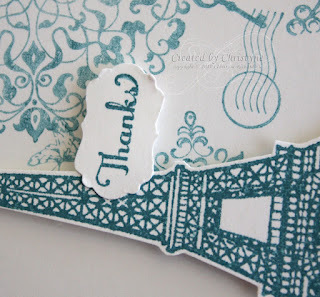 And find a list of the stampin' supplies that were used for the projects here. You can check out the hostess benefits BONUS for June and July here. And when you're ready to take the plunge ('cause you want it all! ), you can read about the bonus you'll get when you join my team in the month of June here. It's gonna be a STAMPIN' GOOD YEAR!! !